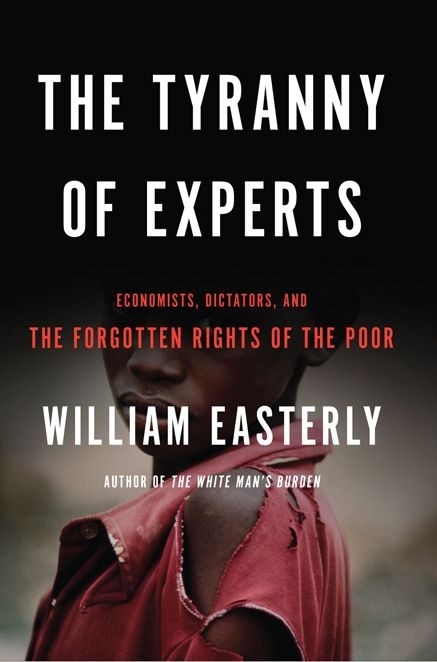 The title of Bill Easterly’s new book pretty much conveys the message: The Tyranny of Experts: Economists, Dictators, and the Forgotten Rights of the Poor. Out of arrogance and political convenience, Western donors are designing and financing destructive top-down development “solutions” to be imposed on the poor. The donors are playing into the hands of dictators, even becoming mini-dictators themselves. The just and surer path to economic development lies in respecting the rights of poor people and empowering them to solve their own problems in ways no expert could plan. I do not mean to suggest that we have ready-made solutions for every development problem. We do not, nor is this our goal. Rather…we will work with our partners, clients, and local communities to learn and promote a process of discovery. Through decades of development work I’ve learned that the best solutions to economic and social problems often lie with the individuals and communities coping with these challenges in their daily life. They have been my greatest teachers. We must listen to and act on their insights. There is no “right” path to development. The challenge for leaders is to learn from others’ successes and then apply those insights to the local context. The best reforms build on the existing strengths of a country and acknowledge its history and culture. The health program in Ethiopia, for example, was built around the country’s rural society and the specific health challenges facing its population. You can achieve amazing progress if you set a clear goal and find a measure that will drive progress toward that goal. Given a goal, you decide on what key variable you need to change to achieve it and develop a plan for change. Ethiopia’s recent effort to monitor the progress of its immunization program is a good example of learning from data and—the hardest part—using data to improve delivery of the right solutions. A recent national survey of Ethiopia’s vaccination coverage reported vastly different results from the government’s own estimates. Ethiopia could have ignored this conflict and reported the most favorable data. Instead, it brought in independent experts to understand why the measurements were so different. They commissioned a detailed independent survey that pinpointed geographic pockets of very high coverage—and very low coverage. The government is now working to develop better plans for the poorer performing regions. …except I lied. Each pair of quotes above comes from comes from one source. In between the bits of the speech Easterly excerpts, President Kim disavows ready-made solutions. After praising the top-down health successes of the Ethiopian government, Blair and Gates signal their respect for history, for local context, for learning through trial and error. My point is not that Kim, Blair, and Gates are paragons of humility. Nor is it that donors are blameless in Ethiopia and elsewhere; I take seriously HRW’s call for procedural safeguards at the World Bank to prevent the financing of abuses. In general, I assume that aid agencies structurally resist empirical and moral due diligence, because it slows the disbursement of grants and loans, which is what the agencies exist to manufacture. The individuals within these institutions may be humble, but the incentives playing on them can produce arrogance in the behavior of the institutions as a whole. Pride is the deadliest sin, so it is good for Easterly to challenge it through exercise of his right to free speech. My point is that the way the book makes the charge is sloppy and thus hypocritical and counterproductive. It is unbefitting of its empiricist author. The text implies an easy equation between autocrat and technocrat, between praising a despotic government for having done something right and endorsing oppression as the best way forward. The book’s title condemns today’s experts on poverty for disregarding the expertise of those in poverty. Search the book’s pages for substantiation and you’ll not find much more than the Easterly-selected quotes above. Most of the book is about other stuff, which I rather like, and will get to. On little evidence, the book condemns a class of people for dismissing a class of people on little evidence. For heads of state, he said, you have to pitch in with a simple, doable proposition. You appeal to their idealism, but you also tell them how they can drastically reduce child deaths at a cost they can afford and on a time scale that can bring them political dividends. He cajoled and persuaded and flattered and shamed and praised. He offered aid money that he didn’t have, and he offered help that the UNICEF country office often wasn’t in a position to give. And he back-slapped and shook hands with them all, whether democratic leaders or dire dictators. He shook hands that were stained with blood, hands that had turned the keys on political prisoners, hands that had signed away human rights, hands that were deep in the country’s till. Not only did General Grant forge alliances with ruthless bullies who had killed for power; equally ruthless, he praised them in public if that would save lives. The Tyranny of Experts never acknowledges the strategic role of public rhetoric, taking all quotes from today’s development institutions, such as World Bank praise for Ethiopia, as proof that they are entranced by autocracy. The book hardly addresses the question of when development experts at aid agencies truly wield (autocratic) power and when they are merely choosing to align with existing power structures in order to grasp a crumb of influence. To play off a dichotomy in Easterly’s previous book, searchers and planners are often the same people. The employees of aid agencies, who would seem to be planners, are working in what are for them the trenches, searching for solutions within tight constraints to the problems they face, solving them as best as they can. It’s a bit unseemly to insinuate that the lot of them are tyrants while perching in an ivory tower and dodging the tough choices they face. The book might at least engage with the HRW recommendations for human rights safeguards at the World Bank; but it does not take even that step toward practicality. Another symmetry between critic and object: the book disapproves of the use of passive voice as “a hallmark of the technocratic approach” because it allows technocrats to say what should be done while glossing over the inconvenient questions of who should do it and with what legitimacy. Yet the book regularly does the equivalent. A leitmotif in its pages is the “debate” between abstract concepts. 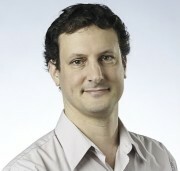 “[T]his book carries out the debates on the Blank Slate versus learning from history, nations versus individuals, and conscious direction versus spontaneous solutions, and, above all, authoritarian versus free development.” These phrases feel like the start of a joke (“Authoritarian and free development walked into a bar…”). Seriously, concepts don’t debate; people do. For intellectual discipline, it is important to be explicit about 1) who is doing the debating and 2) what sway they hold. Debating authoritarian versus free development is one thing if you are John Adams and Thomas Jefferson at a constitutional convention, another if you are Kermit Roosevelt plotting to overthrow the democratic government of Iran, still another if you are an academic interested in the historical links between economic freedom and growth, and yet another still if you are a tyrannical mid-career health expert at the World Bank with two kids in elementary school…although I’m not quite sure what the debate amounts to in this last case. Does Easterly see the tyrannical development experts as deciding whether to package civil rights with their loans? Presumably not. Who, then, is to debate and to what practical end? In sum, I think this book, like its predecessor, gets tripped up in places by ill-defined abstractions. Just as searchers and planners are usually the same (when Steve Jobs told his people to create the iPad, was that top-down planning or “spontaneous” problem solving by a market actor? ), the phraseology in Tyranny of Experts tends to blur distinct groups. There are the autocrats who adopt with various degrees of sincerity the rhetoric of centrally planned development and then use it to rationalize human rights violations. There are the foreign institutions that collaborate with them, sometimes for the best humanitarian reasons, sometimes out of geo-realpolitik. There are less-powerful human beings within those institutions, who are seemingly the “experts” and “economists” in this book’s title. I think it is a mistake to simply tar one group with the sins of another. All that is about the 20% of the book I don’t like. The other 80% I mostly like. The heart of the book is Bill Easterly sharing an intellectual journey that took him through rich history and intriguing econometrics. Through clear writing, plentiful storytelling, and touches of humor, he brings the reader along too. I’m sure he makes it look easier than it is. Many accounts of development aid begin with Harry Truman’s inaugural speech in 1949, which included foreign aid in a four-point plan to counter the international spread of communism. “For the first time in history, humanity possesses the knowledge and the skill to relieve the suffering of these people.” Easterly opened my eyes to the historical sources of the ideas in that speech. “In fact,” Easterly writes, “it was not the first time in history that it was the first time in history.” Woodrow Wilson uttered a similar phrase in 1919, at a comparably freighted historical moment. Easterly recounts how the idea of centrally planned (“technocratic”) economic development arose repeatedly in the early 20th century as a helpful handmaiden to authoritarianism, colonialism, and racism. The Versailles treaty of 1919 handed German colonies such as Tanzania and Togo over to Britain and France to “exercise authority over them during the period of their development.” In China, Sun Yat-sen and his successor Chiang Kai-shek cottoned onto authoritarian development ideals, with a little help from the Rockefeller Foundation and the U.S. government, which sought to help China while changing the subject from America’s racist ban on Asian immigrants. In the 1930s, the continuing rise of Japan, modernity’s first non-white global power, heightened fears among British colonial administrators of mass uprisings by non-whites, perhaps in cooperation with Japanese invaders. The administrators determined to sublimate their longtime disdain for colored peoples into a new rationale for dominion: to develop the colonies through central planning, for the good of the natives. I am unaware of any other account of this swatch of the history of ideas. As with any venture into history, there is always more that can be written. I suspect, for example, that the book puts too much blame for the Republic of China’s turn to authoritarian development planning on a small American group called the Institute of Pacific Relations, and too little on the Bolshevik Revolution of 1917, the Meiji Restoration of 1868, and millennia of strong-state tradition in China. Indeed, the economic policies of the Meiji era bid fair for the title of “World’s First Development Plan,” which Easterly awards to Sun Yat-sen. Still, Easterly has done a great service in pulling together these historical strands. Others can add more. More important, I missed systematic discussion of where enforced rights come from. If we don’t know how to make enforced rights, what good does it do to debate whether people should have them? Why were northern Italian cities freer? More precisely, why did their elites settle into equilibria that favored the rule of law over the rule of one? What does an understanding of the sources of enforced rights imply for aid policies, migration policies, and other policies affecting development? Work like that of North, Wallis, and Weingast seems important here but goes unmentioned. I think their kind of scholarship leads to the recognition that the market, which Easterly explicates at length, is not the only complex adaptive system through which humans have produced freedom. Political interactions among elite powers has sometimes done that too. Also braided in is an enjoyable history of what is now a single block in SoHo, in Manhattan. Reading it is like watching 400 years of economic history in time lapse (with commercial breaks for exegesis of Adam Smith). The dramatic peak in that narrative, and in the entire book, comes in the late-1950s showdown between the iconic technocrat Robert Moses, and his unexpected nemesis, Jane Jacobs. Moses wanted to raze blocks of old buildings in SoHo, erect uniform public housing in their place, and run a four-lane highway down Fifth Avenue and through Washington Square Park. (Very “Star Wars,” if you think about it.) Jacobs and other community activists opposed, won the day—and won a historic victory against the idea of top-down planning, then ascendant in America. Today, apartments in buildings Moses deemed unredeemable fetch prices surpassing $2 million. Jacobs’s great book helped many appreciate how mature city neighborhoods, like markets, thrive on local knowledge and diversity. The Tyranny of Experts is in large part the fruit of one man’s journey across fascinating intellectual terrain. It is not the last word on the deep sources of economic and political development. Probably no one could fully map the subject. But the story is particularly well told, and contains much worth listening to. To enjoy it, I had to look beyond the thin attempt to turn the book into a critique of development experts. Whether freedom fostered development over the last 1,000 years is rather different from whether a donor should work with Ethiopia’s planners today. Yes, there is a link, and I assume it fires Easterly’s passion for the material at the heart of the book. But that passion does not suffice to condemn a large, vaguely specified group of people, the “experts,” for trampling the rights of the poor.